Mark Laxer: Founder, Architect, and Director, Vermont USA. 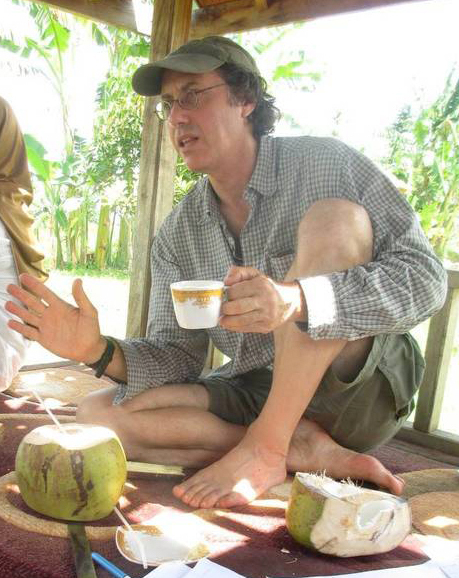 Author, storyteller, and chief technology officer at a software corporation, Mark Laxer invented virtual ecotourism (vEcotourism). This immersive, interactive, educational system is described in his novel, The Monkey Bible: a modern allegory. In case one prefers not to purchase this stunningly beautiful and creative hardcover book (which comes with an associated rock opera! ), one can download it all for free here. Mark has led music and storytelling gatherings by the name of Travelers Circle (tc) in Washington DC for over 15 years and is now recreating this unique experience in his barn in Vermont–information about Storybarn here. Mark–with a degree in literature and computer science from the University of California, San Diego– is passionate about using modern technology and traditional storytelling to share wildlife conservation stories with people around the world. His software company, which targets patterns of illicit behavior in large amounts of government and commercial trade data sets, helps target environmental crime pro-bono and is keen to partner with governments and NGO’s to target the illegal wildlife trade. Mark’s personal quest can be found here and you can reach him at mark (at) vecotourism (dot) org. Ian Redmond: Adviser and Ambassador, Bristol, UK. 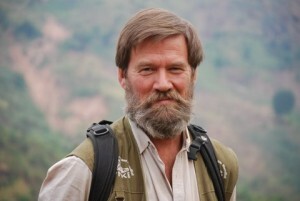 Ian Redmond is a wildlife biologist and conservationist, renowned for his work with great apes and elephants. As with his mentor, the late Dr Dian Fossey, the focus of his work shifted in 1978 from research to conservation work, after poachers killed Digit – a famous young silverback – to sell his skull and hands. He established and chairs The Ape Alliance, served as Ambassador for the UN Year of the Gorilla 2009, and was awarded an OBE for services to conservation in 2006. Jay Ploss: Project Manager and Lead Designer, Quebec, Canada. Jay Ploss brings a B.Sc. in Environment from McGill University and previous careers in event management and desktop publishing to his role as lead Unity developer and project manager of the vEcotourism project. Jay’s primary focus is exploring how 3D virtual worlds can be used to both connect people emotionally with distant places as well as explore ideas and concepts in ways that would be impossible in “meatspace”. Jay also explores the potential of low-cost full-spherical panoramic photography to bring real world imagery into his virtual creations. Reach him at jay (at) vecotourism (dot) org. 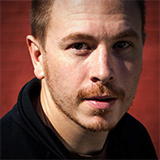 Matt Redmond: Lead Technical Developer and Linux Guru, London, UK. 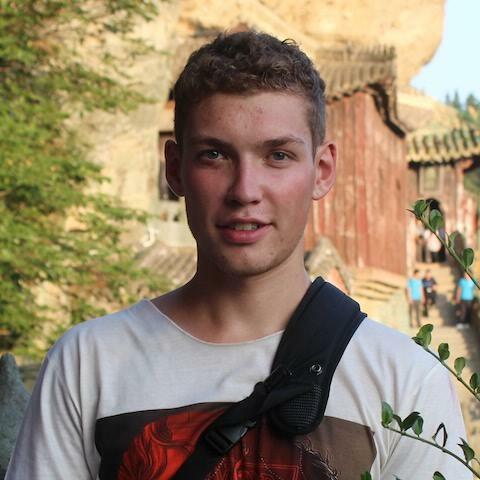 Matt Redmond studied Physical Geography and Computer Science at Keele University. He is currently fascinated by the possibilities of emerging web technologies and how they can further environmental education. His other interests include bicycles, travel, linux and juggling. He can be reached at matt (at) vecotourism (dot) org. Lauren Chapman: vEcotourism Adviser, Montreal, Canada. 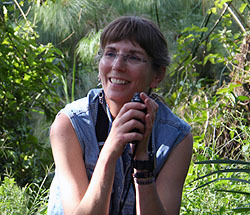 Dr. Lauren Chapman is a nature conservationist and project coordinator for the Kibale Health & Conservation Project. Her research focuses on aquatic ecology and conservation and involves field studies based at the Makerere University Biological Field Station and Fisheries Resources Research Institute in Uganda. Lauren holds a Canada Research Chair in Respiratory Ecology and Aquatic Conservation, and is a lecturer at McGill University in Montreal, Canada and Mackere University in Kampala, Uganda. Colin Chapman: vEcotourism Adviser, Montreal, Canada. Dr. Colin Chapman received his joint Ph.D. in the Departments of Anthropology and Zoology at the University of Alberta. He spent 2 years at McGill and 3 years at Harvard University doing post-doctoral research. Since 1990 he has served as an Honourary lecturer in the Department of Zoology at Makerere University Uganda; and, since 1995, he has been an associate scientist with the Wildlife Conservation Society. Colin also served as a faculty member in Zoology at the University of Florida for 11 years, and returned to McGill in 2004 to take up a professorship in the Department of Anthropology and McGill School of Environment, where he holds a Canada Research Chair Tier 1 position in Primate Ecology and Conservation and is a fellow of the Royal Society of Canada. He is also a project coordinator for the Kibale Health & Conservation Project near Kibale National Park, Uganda. Marta Lupion: Video Editor, Bristol, UK. A Spanish video editor now based in the UK, Marta Lupion is a talented editor, camera operator, and graphic artist. Professional, efficient, and creative, she has been instrumental in producing vEco’s upcoming youth-focused Kahuzi-Biega Gorilla vEcotour. See her online portfolio at http://www.martalupion.com/ or write her at martalupion (at) gmail (dot) com. 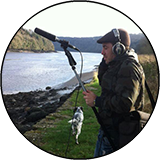 Warren is a audio engineer, musician, location recordist, and composer working for studios and freelance with qualifications in sound engineering, music technology, location recording, Logic Pro, Final Cut Pro, and Ableton live. 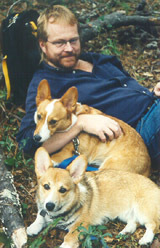 Warren has a great love of animals, outdoor adventures and wildlife conservation. 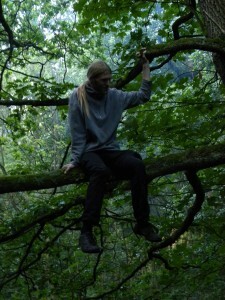 “I am proud to be part of a team that does such great work for wildlife.” Visit his website at www.claycastlerecording.ie or reach out to him at hatzt (at) outlook (dot) com. Toby Cresswell: Video Editor, Bristol, UK. Toby brings his background as a natural history, environment, and conservation topic researcher to his new career shooting and editing wildlife film. He’s currently working on footage from Ian Redmond’s encounters with gorillas in the DRC and Uganda. Visit his website at tobyjcresswell.com or contact him at tobyjcresswell (at) gmail (dot) com. Toby Greet: Video Editor, Bristol, UK. Isaac Blanc: Video Editor, Bristol, UK. Erica and Oliver Laxer: Cambridge, Vermont. 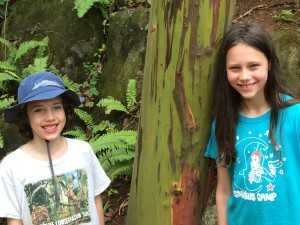 Erica and Oliver Laxer, passionate about wildlife conservation, are creating media content for vEcoKids. They live in Cambridge, Vermont, among the Green Mountains. 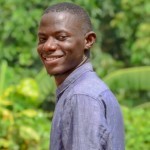 Kasirye Arthur is a web developer and technology enthusiast based in Kampala, Uganda. He studied at Makerere University Business School with a major in Business Computing. He loves studying and discovering how things work, and when he is off he loves playing chess and virtual games. He can be reached at arthur.k186@gmail.com or follow him on Twitter at @braindventure.